Like offline shopping mode, when shopping online for the time-sensitive products, people also would like to consult online shopping experts, which can save their time and avoid risk. In this paper, we propose a generalized framework to discover and recommend experts in time-sensitive online shopping. First, we derive the order pattern of users’ purchases in order to establish their relationship. Then we quantify users’ purchase ability and influence acceptance from their historical purchase log. With this knowledge we select accessible users as expert candidates and compute their reputation. Finally, we filter and recommend the experts to users. 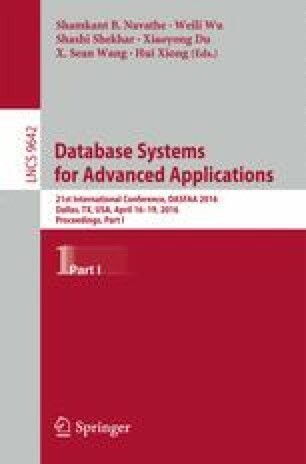 The experiments on real-world dataset and users show that (1) the accuracy of existing recommendation systems can be improved by embedding the expert discovery process while preserving good coverage; (2) our method achieves a better performance in matching and ranking experts compared with baselines. The work is supported by National Natural Science Foundation of China (61373022, 61532015, 71473146) and Chinese Major State Basic Research Development 973 Program (2015CB352301).